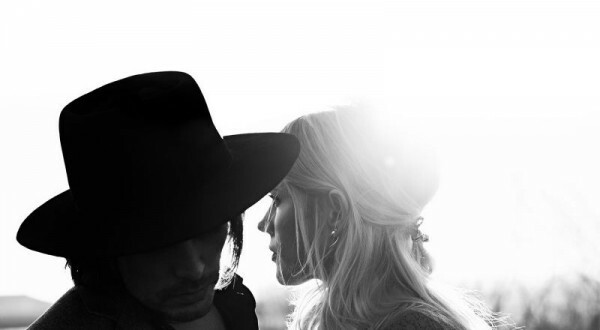 A year after their impressive second place at the Eurovision Song Contest last year, The Common Linnets are back with a new single with international potential. After the success of ‘Calm After The Storm’ they released an album that gained success all over Europe and now they are even crossing over to the United States as they recorded their new single ‘We Don’t Make The Wind Blow’ as the soundtrack of the brand new Fox series Wayward pines. The Eurovision Song Contest in 2014 did not have one major favourite for the win, so this was the most exciting result show we have seen in a while. In the first half, the big contenders all still stood a chance of winning, but in the end there was only one amazing song that took the lead. Austria’s Conchita Wurst won the contest, something that would not have been expected before this week, but after seeing her great performance of ‘Rise Like A Phoenix’ during the semi final, she became one of the biggest favourites. Five great songs make up the top 5 this year with my little The Netherlands in second place. It was a great show and an almost perfect result. Time to look back at the performances and the final scoreboard! The final started with an upbeat performance by Mariya Yaremchuk from Ukraine. This girl looks and sounds like an absolute star. Her song was not one of my favourites, but it is catchy and decent enough. The act with the wheel did not make very much sense, but then again, it looked quite good on screen. I think the policital situation in Ukraine might have helped her a little with the sixth place she reached, but well done anyway! If I had to give my personal opinion, this song would have finished in 25th position on saturday night, because I just don’t really like it. It is catchy and laidback and the performance looks quite alright, but his voice is not the best and his English is just not good enough to sell this song. I would say a 16th position is way too high for this track and performance, but kudos to him for getting this far in the competition. In terms of the results, I think we can all agree that Azerbaijan was one of the biggest disappointments. They never missed out on a place in the top 10 and year after year they even reached top 5. This year, Dilara Kazimova only brought them to 22st place with her ballad ‘Start A Fire’. I actually thought it was a beautiful ballad with a captivating build up. Dilara did a vocally very strong performance, although the circus behind her was not necessary. Still I thought and hoped this would have reached top 10. Where Belarus was my number 25, Iceland took the last place for me. I tried, but nothing about this could convince me. The song, the lyrics, the suits, it all felt so forced to me. The colorful staging looked good, but that was about it. Even the vocals towards the end of the song were very disappointing. I usually really like what Iceland sends in for Eurovision, but this year, it just wasn’t for me. Good for them they managed to get as high as the 15th position. The contrast between Iceland and Norway this year could not have been bigger. Norway brings one of the most beautiful and touching songs to the contest. 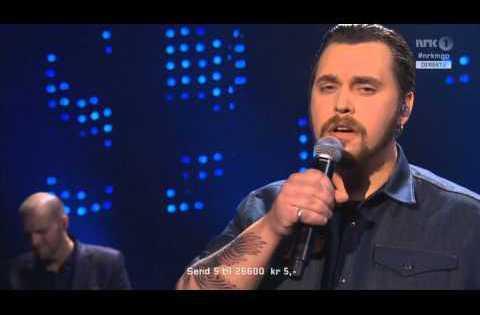 Carl Espen did an even better performance in the final with vocals filled with emotion. He looked more confident as well, without losing the fragile performance that fits with the song. Especially the verses of this track are gorgeous. Norway absolutely deserved their spot in the top 10, so I am glad that they made it to the 8th position. It was the second time that Paula Seling and Ovi represented Romania in Eurovision. In 2010 they ended up in top 3 with ‘Playing With Fire’ and I can’t help but saying that their song this year is quite a bit weaker than their previous attempt. It sounded current, but there are lots of tracks with better lyrics in this style. Both are charismatic performers though and especially Paula is a great vocalist, but even they could not get more out of this song than the 12th place they ended up with. Aram MP3 had one of the best and most popular songs in this year’s contest. It is a pity that his vocals in the verse at the start were somewhat disappointing. The build up and the climax of the song are intense and his vocals there were much better. This song however, deserved a faultless performance. It might have cost him a top 3 placing, but still, the 4th place is a result Armenia can be proud of. Based on the song, I think they deserved it. Montenegro brought the only typical balkan ballad to Eurovision this year. Sergej is not the most charmismatic performer, but his voice is good and the song is beautiful, although not one of the best in this genre I have heard. Although the skater did her best to make this performance stand out, I have to admit it came across as a bit forgettable after Armenia. Still great they had their place in the final this year and a 19th position is not that bad. Talking about contrasts between songs, Poland and Montenegro are worlds way from each other in terms of performance. Poland brings a fresh and loud mix of folk music and hip hop, which turns out to be my guilty pleasure this year. I did not want to like this song at first, but I have to admit it is damn catchy and nicely produced. The live vocals sound almost the same as on record which is a good thing. The big breasted ladies completed the performance visually and I think a 14th position is a respectable result for this song and performance. Greece this year was a disappointment when it comes to their song, the performance and the results. Although ‘Rise Up’ is a very contemporary and swinging song, it did not do much for me. The performance was quite poor as well as this is not one of the hardest songs to sing, but still the vocals were out of tune for most of the time. The act with the trampoline looked a bit silly and I think the Greeks would have expected more than the 20th place they finished in. I can’t say it is undeserved though. And there was the winner of Eurovision 2014. I never really thought she could do it, but I am really happy with this deserved victory for Austria. It was great to see that almost every country in Europe gave points to Conchita Wurst and her great message, packed in one of the best tunes of the evening. The dramatic James Bond-like track has a soaring chorus and Conchita has some great vocals. She tackled every high note without any difficulties. 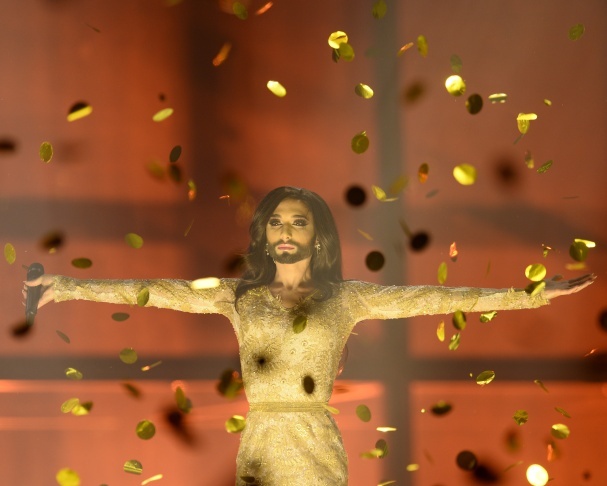 Great to see my country gave 12 points to Conchita as well. This victory does feel like a statement as well and I love to see all the support for her message of equality and tolerance. You’re a star, Conchita! 12. Germany: Elaiza – Is It Right? Poor girls from Germany had to grab the attention after the marvelous performance by Conchita. Elaiza’s singer gave a decent vocal performance and ‘Is It Right?’ actually is kind of a nice and catchy pop song. I would say it was a little to middle of the road to do very well in Eurovision, but I was afraid they were ending up in the lowest regions, which they did not deserve. The 18th place sounds about right for this song and performance though. Germany has done better in the recent Eurovision history, but this was nothing to be ashamed of either. After Germany it was time for another favourite from Sweden. Until just before the show, Sanna Nielsen still was the one to beat in the competition for the bookmakers and she absolutely deserved the high place on the scoreboard. ‘Undo’ mixes the best of Eurovision style ballads and something more temporary like Miley’s ‘Wrecking Ball’ and Sanna Nielsen is an outstanding vocalist. To top it all off, the Swedish delegation brought a beautiful light show on stage with Sanna, which took the song to an even higher plan. Do Swedes ever not send good things to Eurovision? Deserved third place! And in a competition like this, there is always a country that has to finish in the last place. This happened to Twin Twin from France this year. Their mix of Stromae, Major Lazer and LMFAO obviously did not impress the viewers or the judges. I have to say I quite like the track in studio version, but live it did not really come across very well. Too bad for France, that seems to disappoint in Eurovision year after year now. I think the 7th position Russia finished in, was higher than most people expected. I think they had a decent song and the twins have great vocal ability, but a place in the top 10 for this performance was a bit too much in my eyes. The playground setting on stage was not something I am a huge fan of, and moreover, there were a bunch of other songs that deserved more and did not come close to top 10. At least I am happy for the sisters who had to endure quite some booing over the week. A place in the top 10 probably made this a little easier for them to accept. After Russia it was time for one more big five performance, from Italy this time. Emma Marrone is a big star in her home country and her pop rock song sounds quite good in the studio version. I have to admit I was quite disappointed by the live performance. Emma seemed to be out of breath at least half of the performance because of all of the walking around the stage. Still I really dig the explosive chorus of ‘La Mia Citta’ and I really liked Emma’s outfit and especially her attitude on stage. With better vocals, this would have been in my top 10, but I understand why she only managed to reach the 21st position. Like I already mentioned in my review of the second semi final, I really like this song, but the performance was quite poor. Tinkara has a nice voice, but she does not really impress live and visually there was not much to it either. Seeing this between all the other countries, it just did not make any impression so I was quite sure the results would not be great. I even thought Slovenia would finish in 26th place, but 25th was close enough. The young Finnish boys managed to give a great performance again. Maybe the vocals of the singer were even stronger on saturday night and their light show looked awesome once again. Their strong and catchy rock pop track was the only in its genre tonight so I already predicted they would get a decent result, but 11th was even better than I expected. They totally deserved it though, wit a very professional performance in all aspects. Moreover, their song is explosive, catchy and definitely makes an impression on its audience. Spain brought one of the best moments in this Eurovision for me. I absolutely love ‘Dancing In The Rain’ and it might even be my favourite song in this year’s contest. Ruth Lorenzo is a phenomenal singer, which she proved by basically belting for half of the song. Almost every note was pitch perfect and I loved it to bits. I was a bit afraid though, that her loud vocals would be too much for the average public, so I am really happy she made it to top 10 in the end. If it was up to me, she would have reached top 3, but overall, a great result for a great song. And can I just say that performance with the sound of raindrops and the rain projections looked perfect. Great job, Ruth, great job, Spain! After Ruth’s pipes blew everybody away, it was time for something completely different. Switzerland brought a handsome guy on stage with the cutest song of the year. A catchy whistle, an infectious chorus and quite a good vocal were good enough to bring them to position 13, which is a bit higher than I expected. I quite liked their song and the charming performer, so good for them! Hungary delivered another quality performance in the final. András knows how to perform the hell out of this song. His voice and stage presence are both impressive and the dance act really adds something to the performance. ‘Running’ is one of the most contemporary tracks in this contest with its drum and bass beats and the story behind the song about child abuse is very powerful as well. For a second during the results it looked like Hungary could win the contest, but a place in top 5 is great and totally deserved as well. Malta’s Firelight brought another decent performance of their song ‘Coming Home’. All vocalists on stage sounded perfect once again, although the visuals accompanying the show could have been better on this one. The performance looked a bit static and therefore did not make the impression on the audience it could have. Still, it was good to have them in the final, a thing they absolutely deserved, but I can imagine a 23rd position was a little disappointment for them. Basim came on stage to perform in front of his very own audience in Copenhagen. His song is one of the most catchy in this contest, but at the same time, it might come across as a bit too simple. Basim and his dancers gave their all and the Bruno Mars-like song did quite well in the competition. Denmark was in the top 10 for another year, on the 9th spot. I would have never placed this song that high, but I can definitely understand why there is an audience for that. Nice enough performance of an extremely catchy song! After the host country, it was time for my own. The Common Linnets did a mesmerizing performance of their song ‘Calm After The Storm’ once again. Their vocals blend together perfectly and they sing this little country pop ballad pitch perfect. Visually, this was just stunning. The first shots from above, the close ups, their smiles in the camera, the little looks they exchanged during the singing. I think a Dutch performance at Eurovision never looked better. If I am completely honest, I was not blown away by their song at first, like most of the Dutch people. From the beginning, I really liked it, but thought it was too calm for the contest. They proved me and everybody else wrong by literally being the calm after the storm in both the semi final and the final. So good to hear this song is loved by so many Europeans. This 2nd place is our best result since 1975! I don’t think many people expected San Marino to do very well in the final, as it was very surprising they passed from their semi to begin with. After the contest it turned out they finished 10th in the semi, with only 1 point more than Portugal. Valentina gave a good performance of her slightly outdated ‘Maybe’. Her vocals shined and she looked great on stage. I am glad she did not finish in last position, but I did not expect her to go higher than the lowest regions. I hope she still is happy after the 24th position, because it was great to have San Marino in the final in the end. This was for me the biggest disappointment when it comes to the results. A 17th position is way too low for this song and performance. I absolutely love the tone of Molly’s voice and she looked great. She came across very likeable and cute, but had enough attitude to sell this song well. Her vocals were pretty strong, although not perfect towards the end and maybe this is why the results for UK once again were lower than expected. I think ‘Children of the Universe’ is one of the best songs this year with a big chorus and melodically very strong bridges towards this chorus. I really hoped she would reach top 10, but I think there is a bright future for her anyway. Now let’s all look forward to Vienna 2015 after a deserved win for the lovely Conchita Wurst! Yesterday, Europe’s biggest music competition started again. 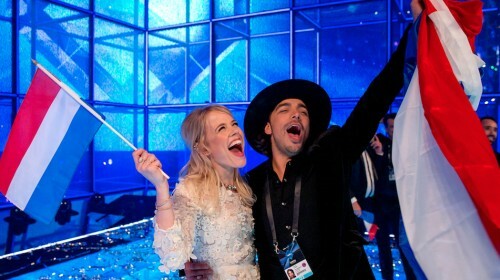 The first semi final of this year’s Eurovision Song Contest took place in Copenhagen, after Denmark’s victory with Emmelie De Forest last year. It was an interesting night with some favourites to win the competition and like every year, some surprises in the results. I have to say in my opinion, no big mistakes were made, so that is a good thing! Here are the results, a review and an analysis of all this on each of the participating songs of the first semi final. The show started off with the bookmakers’ favourite to win the competition at that moment. Aram MP3 performed his ‘piano ballad that bursts into a dubstep beat song’ ‘Not Alone’. Although his vocals in the first verse were not all that, the performance looked great because of a good staging and in the climax of the song, his voice impressed as well. I think Armenia will be in the top 10 this year without a doubt, but I am not so sure about him winning actually. Neither are the bookmakers anymore, because he lost his first place there to Sweden’s Sanna Nielsen, who is the one to beat now. After one of the favourites from Armenia, one of the favourites for the last position came on. I think I can see what Latvia was going for with this sing-a-long song that is trying too hard to be cute, but it just did not work. The singer’s voice sounded kind of weak and the performance of Aarzemnieki just looked pretty amateuristic. Latvia does not do well in Eurovision recently, but really, they should just try harder with better songs and performances. Next up was Tanja from Estonia, with her Loreen-light performance of the dance track ‘Amazing’. The choreography looked good, she sounded pretty decent taking into consideration the dance moves she performed at the same time, but it all reminded a bit too much of 2012’s winner ‘Euphoria’. I guess that is the main reason why she did not qualify after all. It just looked a bit too familiar and was definitely not as good as the previously mentioned Swedish winner. It did not help that the lyrics of her song did not seem to make any sense at all. Stay amazing lie? People who read my blog more often know I am a fan of this year’s Swedish eurovision track. ‘Undo’ is a typical Eurovision ballad, but does not sound outdated or too traditional to these ears. The production is quite current actually and Sanna’s voice is full of power. The performance looked great on stage. Especially the light effects on this one are outstanding. If you can look and listen past the not so great styling and the ‘undo my sad (love)’ lyrics, this is absolutely one of the best things this year’s Eurovision has to offer. She seems the one to beat at this point in the competition. For me this was one of the surprising finalists. The song is really not my cup of tea, although I have to admit it sounds very catchy and the colorful staging really suited the song and obviously was something people remembered after all 16 countries did their job. I would not have missed them if they would not have made it to the final and I don’t expect then to come anywhere near the top 10 on saturday, but then again, you never really know, do you? Poor Hersi from Albania. Her ‘One Night’s Anger’ was not one of the worst songs of the night and her voice is quite strong, but her performance was just too forgettable. There was nothing about it that did put me off, but at the same time there was not one moment in the song that could really capture my attention. I guess Europe already forgot this performance before it was even over. I find the Russian song really hard to judge this year. A message about sending love to the world seems a bit out of place as the Russian entry this year. However, these cute twin sisters can’t help the political situation of their country and their voices are quite good. The playground performance looks a bit silly at times, but the camera positions are smart and the song itself is pretty decent. The chorus is absolutely catchy although the whole thing feels a little bit out of date. I would like to say that based on the performance and song, Russia deserved their place in the final. It is absolutely no surprise that Azerbaijan made it to the final again this year and seems to have a good chance of making it to top 10 as well. ‘Start A Fire’ is an understated, beautiful song with a great climax at the end of the track. Dilara is a stunning woman and the red dress she wears is beautiful as well. The circus act that takes place behind her does not really bring the song to a higher level. Visually Azerbaijan definitely had better performances in recent years, but this is one of their best songs to date and Dilara will definitely get a good result for her country with a good vocal performance. Just like Azerbaijan, Ukraine is known for great stage performances and results in Eurovision. The country often sends young and beautiful women with uptempo pop tracks and this year is no exception. Mariya performs a simple but catchy pop track that immediately settles in your mind. The performance with the wheel is captured by camera beautifully, but it is not one of the better tracks or performances the country did. I don’t expect them to reach the top 3 like last year with Zlata, but for sure they will do well in the final. Although Belgium was in the top 10 of the bookmakers this semi final, they failed to reach the final. Axel Hirsoux sang a classical ballad for his mother, but did not really impress. His vocals were quite good, but not outstanding enough to sing such a hard song. Maybe he was nervous, but visually it did not come across as good as it should have. The song starts out quite charming, but after a while the ode to his mother gets a bit cheesy and too much to be honest. Still, I kind of expected this to click with the public and reach the final. I really tried, but I just can’t get into this song. The repetition of ‘mercy’ in the chorus is a bit annoying to me and the dubstep beats get old pretty fast. Cristina Scarlat is a singer with a powerful voice, but her vocals get a bit screechy at the end of the chorus which does not sound pleasant. The styling was a bit off as well, although the dancing looked really good at some points. I knew this would not be enough to get her into the final. Bring back Aliona Moon next year please! The surprise of the evening and I am absolutely very happy for the lovely Valentina. Third time lucky for her and San Marino and I think she deserved it. Her vocal performance was very decent and the song, although a bit outdated, is quite good. I would have prefered her to make it last year with ‘Crisalide (Vola)’, but this year, her song was good enough to qualify as well. I don’t think she will do very well in the final, but who cares, Valentina finally made it! Portugal tried to bring a summer breeze to the Eurovision stage this year. Suzy performed a swinging song with a lot of repetition in the chorus. She really did her best and she came across enthusiastic on stage, but her vocals were not that good and the dress she was wearing (if you could even call it a dress) took the attention away completely from anything else on stage. Although ‘Quero Ser Tua’ is a nice and catchy entry, it was just too simple and easy to make an impression on Europe. My own dear country, considered the surprise of the evening by many. Their understated, little country song was staged, filmed, sung and performed beautifully. Both Ilse and Waylon came across charismatic, enthusiastic and all what happened with the lights and projections just worked. The Common Linnets did not only reach the final, according to the bookmakers they are one of the favourites to win the whole competition. Their song is a hit on iTunes in a lot of European countries. I am over the moon with this and I think they absolutely deserved it with a risky song and a very professional way of dealing with this performance. I was afraid the song was too calm to capture the attention between all other countries, but now I think the purity and honesty is exactly what draws the viewers and jury members to them. Outstanding job! This is the first time Montenegro made it to the final as an independent country and they absolutely deserved it. Sergej performs a beautiful balkan ballad, quite similar to what Zeljko Joksimovic brought to the Eurovision stage before. Cetkovic is not the most charismatic performer, but his voice is strong and the song speaks for itself. The skater that was brought on stage looks good at first as she makes marks on the floor of the stage, but after a while, she kind of takes the attention away from the song, instead of contributing to it. Still ‘Moj Svijet’ is a deserved qualifier. Last but not least, Andras from Hungary took the stage and gave an impressive performance of his drum and bass track ‘Running’. I absolutely agree with the fact that this song is seen as one of the favourites to finish high on the scoreboard in the final. His voice is great and his tone is really nice. He knows how to sell the song and the staging with the dancers is pretty much on point. Hungary delivered one of the best performances of the night and will definitely do very well in the final as well. This thursday we will see if Conchita Wurst, Austria’s lady with the beard, will make it to the final. Some great performances are expected by Israel, Norway, Greece and Romania as well. On friday, you can read my thoughts on the second semi final right here on this blog! It’s decision time across Europe. Today was the deadline for the countries that participate in Eurovision to send in the songs that will represent them. This means that in the past few weeks, it has been a very busy time full of national finals and song presentations. I already wrote about some national contests and chosen songs and will continue to do so in the next few weeks before the show starts. Today, some words about the selections and songs from Sweden, United Kingdom, Norway, Israel and The Netherlands. It has to be said that Sweden always delivers when it comes to their national final. Melodifestivalen is one of the biggest events of the year when it comes to music and it is almost bigger than Eurovision itself. This year, the final had quite a good line-up with lovely songs from Helena Paparizou, Ellen Benediktson, YOHIO and Alcazar. Days before the final, it became clear that it would be a two horse race between Sanna Nielsen and Ace Wilder. Both singers had great songs and if I had to choose won, I would have gone with Ace’s ‘Busy Doin’ Nothin” as it sounds like nothing else in Eurovision these days. It’s upbeat, modern, cheeky and fun. Still, Sweden does have a nice shot with Sanna’s ‘Undo’ as well. It is a great power-ballad with a memorable chorus. It mixes traditional Eurovision ballad-style with a somewhat more modern production, kind of similar to for example ‘Wrecking Ball’ by Miley Cyrus. Definitely one of my favourite entries this year and I would be surprised if Sanna did not make it to at least top 10 in the final. The United Kingdom has not been very successful in Eurovision lately. In 2009, they reached the 5th spot with Jade Ewen and this was the last time they were in the top 10. In the past two years they finished at the bottom of the scoreboard with Engelbert Humberdinck and Bonnie Tyler. The BBC realized that letting artists from the seventies and eighties make a comeback at Eurovision, was not going to bring them success. This year they try a whole different strategy with a relatively unknown singer Molly Smitten-Downes. Her track ‘Children of the Universe’ has a message that we have heard before in Eurovision, but this time around, it is packed in a modern sounding, exciting pop track. At the first few listens, the repetitive chorus did not do it for me completely, but now I realize this track is more than that. The ‘We shine like diamonds’ parts in the pre-chorus and the middle-eight sound amazing and are very catchy. Molly has a great tone of voice and this absolutely takes the song to another level. I really hope the UK will be back in the top 10 with this. Norway have been doing very well for themselves lately in Eurovision. They won the contest in 2009 with Alexander Rybak and finished in top 5 both in 2008 with Maria Haukaas Storeng and last year with Margaret Berger‘s glorious ‘I Feed You My Love’. This year they are in for another great result as they will send Carl Espen with ‘Silent Storm’ to Copenhagen. He is already one of the favourites to win the whole contest. ‘Silent Storm’ is a beautiful, little ballad that will definitely get the juries going, but will probably convince the people at home as well. Espen is not yet the most experienced performer, but with a little work on that, he definitely is one to watch with an emotional and captivating track. My personal favourite in Norway’s MGP this year, finished in second place. 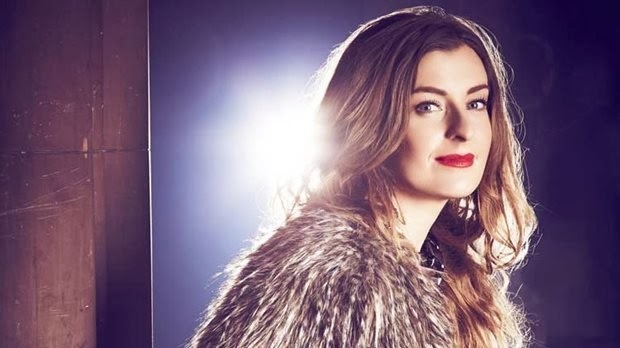 Linnea Dale‘s ‘High Hopes’ is a brilliant electro pop song, that would have worked great on the big stage in Copenhagen. Maybe she could try again next year, because there is a lot of potential in her songwriting and performance. I have to admit I was quite surprised last year when it turned out Israel did not make it to the final with Moran Mazor and the song ‘Rak Bishvilo’. I would be even more surprised if they do not make it this year with Mei Finegold‘s ‘Same Heart’. The song sounds very current with an instrumental breakdown after the first chorus. Finegold shows she has quite a lot of power in her voice and she seems to be able to sell the song really well in the videoclip. We will have to wait and see how she will perform this live, but if she can pull it off, this powerful and catchy uptempo pop track could do well, as it is one of the few songs in this genre this year. Last year, The Netherlands did a great job in Eurovision by sending Anouk with the gorgeous song ‘Birds’. Her pure and stripped down performance put the Netherlands through to the final to finish in 9th position, the best result in ages. This year, it seems The Common Linnets try the same strategy with a stripped down country song. Ilse DeLange and Waylon, who make up the band The Common Linnets, chose to perform ‘Calm After The Storm’ in Copenhagen. I am not so sure this will reach the same heights of success as Anouk did. Where her song was captivating and exciting, ‘Calm After The Storm’ might be a little bit too calm to keep the viewers attention. Still it is a cute little song that definitely is one of the better things that his year’s Eurovision has to offer, but it could have done with a better build-up and a little more tension in the track. Still I am sure they will sound great live and give a professional performance on the big stage.